A 1944 black and white halftone map of North America prior to the French and Indian War. 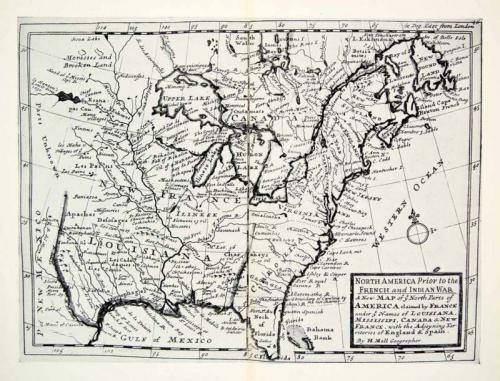 The map includes places such as New France, New Mexico, Canada, Upper Lake, Scotland, and New Foundland. The condition is very Fine. No creases. Original portfolio crease. No surface rub. No tears. No water damage.